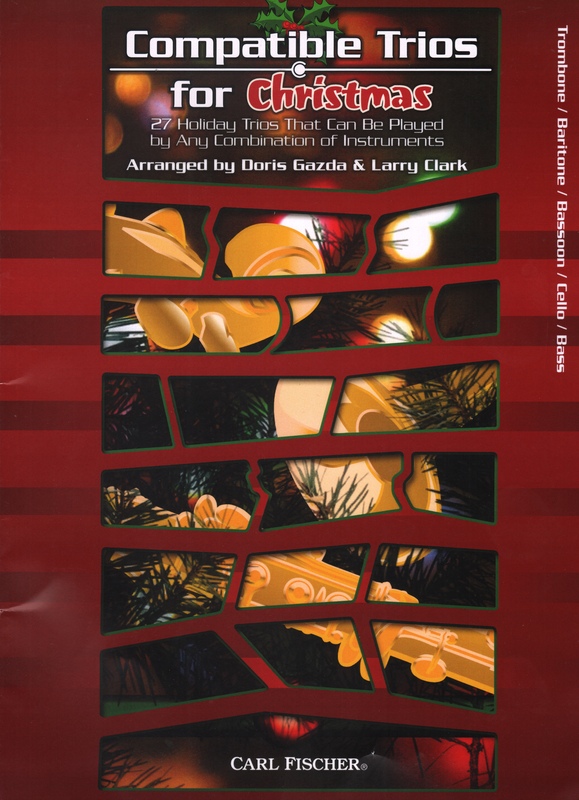 Compatible Trios for Christmas is a set of stand-alone trio arrangements of popular Christmas tunes. As the title suggests, these trios may be performed with different combinations of instruments. Those arrangements may be purchased separately; a complete score may also be purchased. The parts range from G to g1, but in many of the arrangements, the highest note is d1. The low/mid register gamut makes these arrangements ideal for beginning and intermediate players and anyone with holiday ‘chops.’ Although the range does not extend below the bass clef staff, low B-naturals make 7th position a necessity for students without F-attachments. There are 27 arrangements in the volume and they are only one or two pages long. The compatibility and interchangeability of different instruments are quite practical, making possible ad hoc Christmas performances with a small number of people and/or with parts doubled as necessary.